TV channels ARTE, BR and ORF have co-produced Homo Digitalis, a series on what being human might mean in the future. 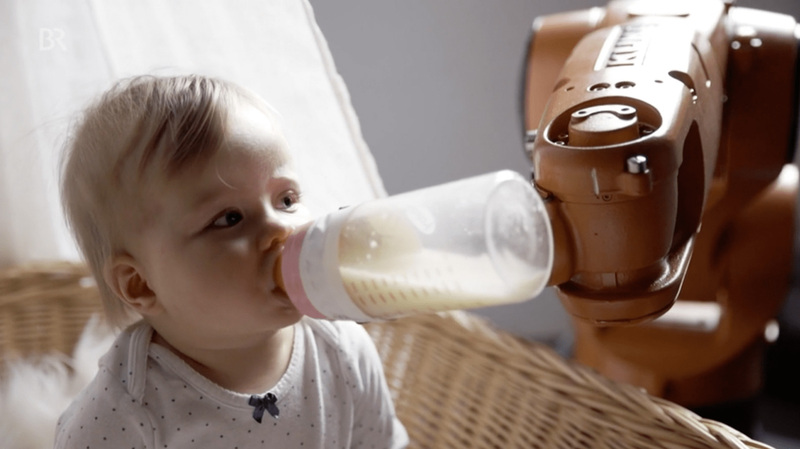 For the first episode they made their own robot baby feeder from our open source files and reenacted Raising Robotic Natives — with a real baby! Seeing this is incredible for me. On the ground, school is keeping me busy thinking about machine learning and surrealism as well as fungi and skin stretching. More on that soon.